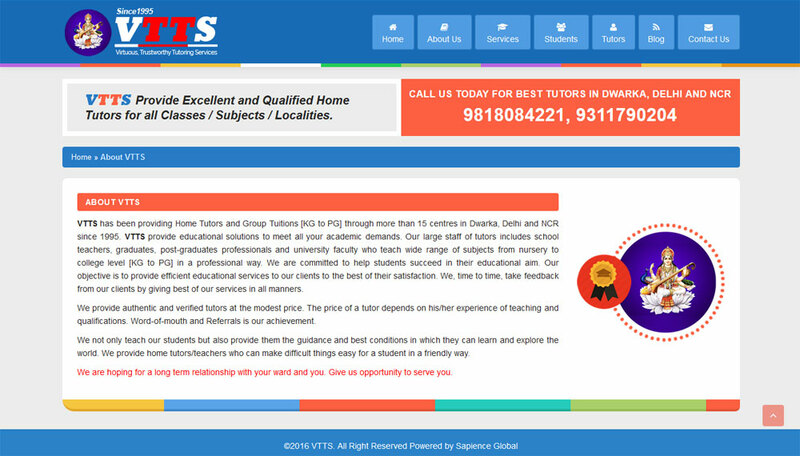 VTTS has been serving the academic needs of students since 1995 in Dwarka, Delhi & NCR. 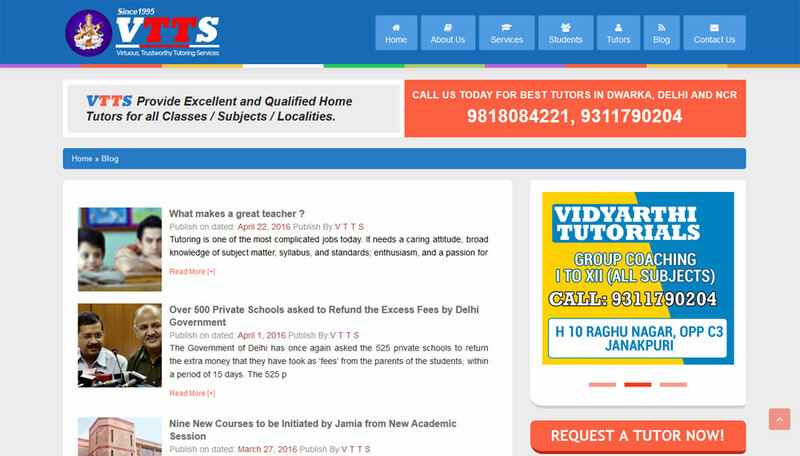 VTTS provide educational solutions to meet all your academic demands. Our large staff of teachers and tutors includes school teachers, graduates and post-graduates professionals and university faculty who teach wide ranging of subjects from nursery through college level [KG to PG] in a professional way.